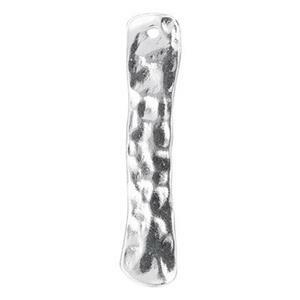 Sterling Silver 4.7x23.9mm Hammered Bar Drop, .9mm Hole This eyecatching hammered stick reflects light with a soft glow. The slightly rounded ends give the shape an organic feel. This bar looks like it was whittled from silver wood.